Australia is a highly regulated market with regard to online gambling and sports betting, and this extends to esports betting. As such, your options for esports betting tend to be limited to the licensed operators for Australia and a limited number of off-shore betting sites that have decided to serve Australian customers. Those listed above. 1xBet is the top esports betting site that will serve Australia without having the native license. The one benefit of this is that should you choose to play with them, you will have access to their other gaming verticals like the casino and live casino games. The two other licensed Australian bookies have had to strip out any other gaming verticals from their Australian-facing services, so you’ll only have access to their sports and esports betting services. Although we understand the motivation to find a service that focuses on your passion for esports, unfortunately esports-only betting sites have numerous negative points to consider. Find our complete breakdown as we compare traditional sports betting sites vs esports-only betting sites on our home page. To quickly summarize the issue, traditional sites actually offer better esports event coverage, more betting markets, higher esports odds, far better interfaces or betting platforms, all from reputable and long-established companies. Esports-only companies that serve Australia are all relatively young and simply do not have the scale to offer a safe and superior service, since all they focus upon is esports. Esports is still a relatively small part of the overall betting marketplace so it would be like only offering betting on Rugby League. It simply does not make any sense - bookmaking is bookmaking. What does make sense is to find the traditional online sports betting providers that recognized the importance of the esports segment of the market and have moved to offer top-level esports betting service such as those listed above that serve Australia-based customers. You can expect to deposit and bet with Australian Dollars - no need exchange funds, or incur the associated fees. Popular banking methods to use from Australia tend to include Visa, MasterCard, POLi Payments, PayPal, Apple Pay, paysafecard, Skrill, Neteller among others. 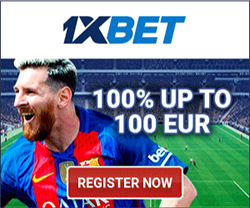 1xBet also offers payments including Bitcoin and other crypto-currencies. Esports is fairly well-developed in Australia from several perspectives. The Australian Esports Association is an organization that is working toward having esports be formally recognized by the Australian Sports Commission. The AESA works with key stake holders and advisory groups towards this goal. Further to this, the AESA is working to lead a collaborative industry wide movement for the growth of esports through advocacy, representation, promotion, regulation and engagement of esports in Australia. It also wishes to support the high performance level of Australian esports athletes and community participation in esports at all skill levels. From a professional perspective, Australia boasts two of the top esports earners and athletes in the world in Anathan Pham and Damien Chok, both of which are Dota 2 players. The country also enjoys the existence of the Australian Esports League which organises events at the High School and University levels in addition to an Open competition. Several of these events are streamed or broadcast over the air in Australia. Across these three levels, the AEL offers competitions within many of our top listed games, plus others like Tekken 7 and Forza Motorsport. LoL, CS:GO, Dota 2, Overwatch, Rocket League, FIFA & more! LoL, CS:GO, Dota 2, SC 2, R6, Rocket League, Overwatch, FIFA & more!